Swim And For Your Family's Personal Enjoyment There Is A Security Fence To Protect The Young Ones, A Covered Lania Including A Large Table with Seating For Four And Extra Chairs,Two Lounges And Large Pool Towels. A Wonderful Home To Enjoy And Relax In After A Day At Disney Or All The Other Attractions That Are Nearby. The first master bedroom has patio doors to the pool deck. For convenience there is also a door from the deck into the bathroom. The villa is kitted out for both casual eating at the breakfast nook table or you can dine in the more formal setting of the dining room. The air conditioned games room is a gamer's delight! 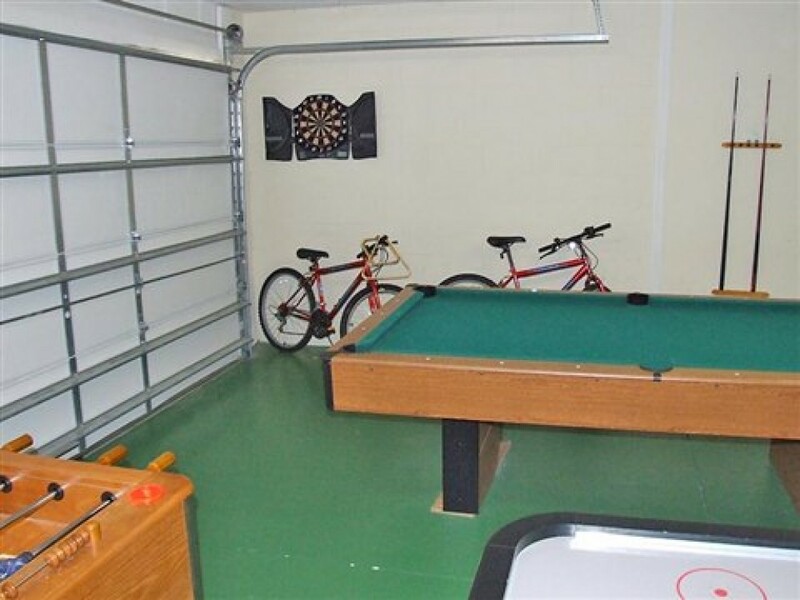 Not only is there a Foosball table and a pool table but we've added an air hockey table, electronic darts and 4 mountain bikes. It will keep the little (and big) kids amused for hours! We wouldn't blame you if never wanted to leave and go home...!! The house has FREE WIRELESS INTERNET too.